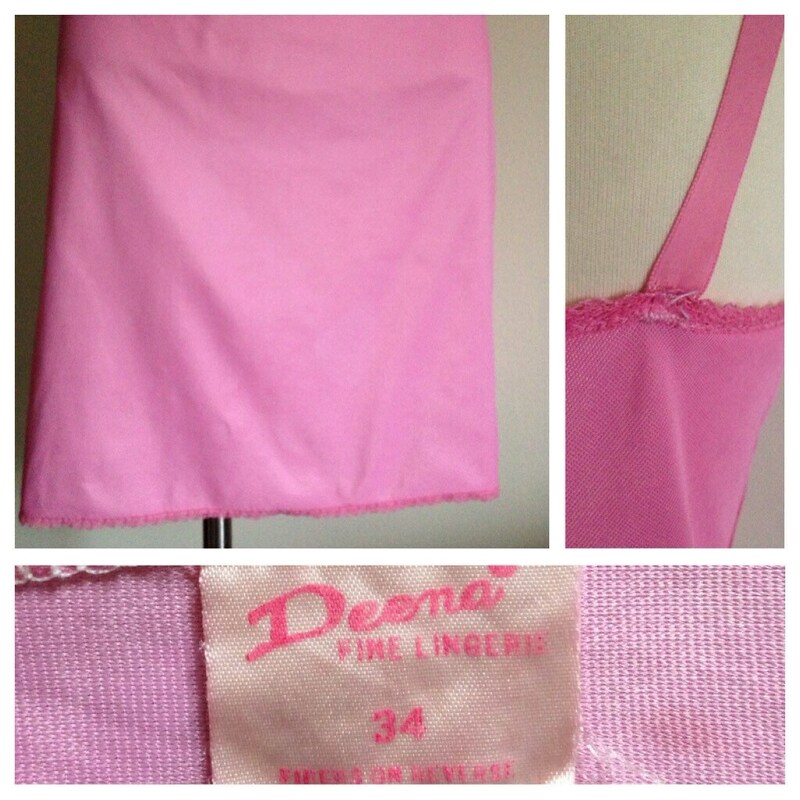 Vintage 1950s Pepto-pink-colored women's nylon slip with cute, contrasting pink diamond panels on either side of waistline. Good vintage condition; light wear due to the age of the piece. Form-fitting darts on bodice to shape bust line. Adjustable straps. Some very light discoloration in front (see photo) and a visible repair done to end of strap in back (also pictured). Does not detract from quality of piece. Freshly dry-cleaned. Dry cleaning or hand wash recommended for future care.